It has been a dream of mine to see a double hulled waka making the return journey from Aotearoa back to Turtle Island/USA. I have had an avid interest in these magnificent vessels since the Hokule’a was launched in 1976. She sailed to Tahiti and back in her maiden voyage. The resurgence of celestial navigation for our peoples of the Pacific nations and here has been astounding and there have been many voyages between here and the islands over the years since. But as i say my dream was to see one on the water making this voyage before I leave this earth plane. Imagine my surprise on July 28 2011 when I just happened to be speaking to a friend of mine who informs me that this indeed was happening. She was unsure of dates and who or what or when but she gave me a garbled message about a webpage with pacific voyage or something in it (her words). Well i eventually tracked them on their website entitled www.pacificvoyagers.org and I discover that there is not one double hulled canoe on the water almost due to land in San Francisco but six!!!! There were meant to be seven but the one from Tahiti had to return to their island due to other obligations. So I discovered lots of information about their voyage, including their due date to land on Saturday July 30. So I sent messages of support and encouragement but Saturday came and Saturday went. They were becalmed and had to remain anchored off Port Reyes until Sunday. And Sunday came and Sunday went and they were still becalmed. By now they were very frustrated as they had been on the water from Hawaii for 20 odd days and were looking forward to landing on terra firma not to mention the lovely city of San Francisco. There was something stirring in me though at a deep level. Three days in a row i was aware of the feeling of being on the ocean. Of course living here in Canterbury where the earth has been constantly moving for 10 months with the 1000’s of earthquakes i thought it was yet another shake but no they were not. As it turned out i knew the person who was co ordinating all the messages to the waka/vaka and so i asked her if it would be possible to let me know the moment the captains decide whether they were to go in on Monday or not. Remember we are 19/20 hours ahead of California. Meanwhile I was sending messages to them saying things like there is a reason for the delay. What you are about to do is absolutely huge in the spirit world at least and so this is all preparation for your entry back to the beginning shall we say. So imagine my delight when at 5.30a.m. Tuesday August 2nd New Zealand time when the message came through that they were indeed delayed again. Their new time of arrival was to be Tuesday August 2nd at 3p.m. (California time). I was so excited because i knew that if all things were lined up i could get there in time to witness this event. So with that news i went outside where there was a heavy frost on the ground. I looked up into the clear starry heavens and could see the stars that make up the waka in the sky, Te Waka o Tamarereti. I asked from deep in my heart whether it was appropriate that i try to do this trip. I talked to our mountain and river and the precious pounamu that graces my home and the answer was yes. I rang the travel agent at 9a.m. as they dont open until then and asked if there was a chance to get on the evening plane leaving for San Francisco that day and yes there was and at the sale price too!!!! So by 1.30a.m. i was at the Christchurch airport ready to fly through to Auckland to catch the flight to San Francisco. That flight left at 5.30p.m. 12 hours exactly after i received the message that they were delayed until the following day. As i flew over Te Waka o nga Atua, Te Waka a Maui, Te Waka a Aoraki the sun lit up the faces of the ancestor mountains. The flight path was directly above Golden Bay and it crossed over the ancestral grounds of one of my tupuna whaea of the Nelson area. I could see the island and the old pa of Hawaikii where she was born. Taranaki was the only maunga visible on the Te Ika a Maui. I felt like all the wairua were giving me their ihi, wehi and kaha to pass on to the waka and their magnificent crew members. Of course i was so excited i shared the news with the crew of my waka rererangi and they announced it over the intercom and this caused much excitment among passengers and crew alike. Everyone was asking the same question, how come we did not know about this. How come it was not on the news!!! Indeed!!!! These waka/vaka had left from Auckland in mid April. All six of the waka left from Auckland. The waka from Fiji and Samoa sailed to Auckland to begin the journey from there. A friend of mine picked me up from the San Francisco airport and took me to Crissy Park. I knew i would be able to witness their arrival into the embrace of Turtle Island from here as they came into the Bay and under the Golden Gate Bridge. And so we waited. There was a small group of people from the Pacific who live in San Francisco. And we waited all a little nervous. And then they came into view!!! The sight of them travelling so fast on the strong wind was breathe taking. It is etched on my mind, heart, spirit and soul forever. I was so so happy to witness this that i could have returned home that evening if i had too. Well imagine my astonishment when in one moment the waka are travelling at huge speed across the bay heading for the far side and then all of a sudden they turn and begin heading in the opposite direction, that is straight to the beach where we were standing!!!! I could not believe my eyes. Five of the waka had red sails and the sixth had their cream sails up. The sight was stunnning to say the least. We were laughing and crying (those of us on the beach). They did not come up onto the beach, they anchored about 100 yards off the beach. The vaka from the Cook Islands began drumming. When they finished I felt compelled to karanga to them and so i waded into the water and began to karanga. I did not know if they could hear at first but it did not matter because I knew the ancestors would and that is what this was all about for me. But what happened next was so deep and beautiful. One of the young women on the waka from Aotearoa, Te Matau a Maui, heard and returned the karanaga. I was to learn later what happened. They were travelling across the Bay and under the bridge and were thrilling at having done that and the wind was so strong and powerful and then they received a phone call and instruction from the film crew who are making a documentary about this journey to stop off at this beach because they were not ready for them yet!!!! The crews were a bit put out by this but did so anyway. This young woman then thought she could hear te reo Maori in the ethers and she reminded herself she was not at home on the marae she was where she was and yes the tupuna had accompanied them the whole way but surely they hadnt provided a karanga as they entered the bay. It was then that one of the crews told her there was a woman standing in the water calling and so our exchange began. A moment in time where so much happens in the one instance, where wairua converge, where heart mind and soul converge, a moment of such magnitude in honour of our beloved tupuna who wove these pathways for us to follow. And so began an absolute whirlwind of a trip of 18 days as i met the crews, journeyed a little on the waka and travelled down the coast to Monterey and Malibu to witness them coming in to be welcomed by the tangata whenua of those areas. It was such an incredible event. And it is only beginning as you will learn on their website. www.pacificvoyagers.org the kaupapa is so so sacred and multifaceted but all to do with the ancient trails of our ancestors, the teaching of the traditional ways of navigation using the stars and wind and wave patterns of the ocean to the young people on board. The age range of the crew are from 17 years to people in their 60’s. There are teenagers and grandparents there and everyone else in between oh and of course there are men and women, girls and boys. And as well bringing awareness to the precious breathe of our ocean, Tangaroa, Te Moana nui a Kiwa. I wish to acknowledge the conversation had between Rawiri Paratene and Deitaa when this idea was born. E nga rangatira nga tungane o te Ao kei a korua tenei moemoa hei oranga mo tatou katoa, he taonga tuku iho mo a tatou mokopuna katoa o a tatou ao, tena korua, tena korua, tena korua. It was such a privilege and an honour to meet some of these magnificent people and their sacred sacred vaka/waka/ vessels which are honoured so profoundly and deeply by those who sail in them. To witness this and the meeting of the nations of the Pacific and Turtle Island is something i will treasure forever. And as they say on Turtle Island, the hoop is complete. The return journey has been made after many many hundreds and hundreds of years and so the sacred Hoop is complete. You see for my people, this was the first return journey in 1000’s of years. This was the first return journey. My ancestors left here between 6-8000 years ago (Turtle Island that is) and had not returned. This was the first return journey. This is why it was so so poignant. This is why it is so very very significant on such a deep, deep level. ki te manaaki, tiaki i nga hapu. o Te Ika Tapu eee. 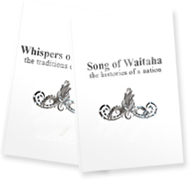 I met a young man of Ngai Tahu and Waitaha. His name is Tiaki ??? he is from the Morven marae and he was on the Haunui waka. When you go to the website you will see the individual waka and then be able to read the bios of the crews for each waka. It truly is a magnificent kaupapa, multi faceted and all incorporating deep respect for the ancient and Te Ao Hurihuri the old trails of our ancestors, the traditional navigation methods and looking after Tangaroa for our children and grandchildren. They left from Auckland in mid April would you believe and not a peep on main stream media!!!! Let me know what you think and feel free to keep in touch Barney or is your name Te Uirangi. I don’t know whether you have been informed of my find of carved stone taonga in the Tararua ,Dannevirke area ,from a series of ancient sites. i have been searching for the Tangata Whenua who might lay claim to this marvellous find ,i have informed you on an earlier occasion concerning this information,your map on P29 ‘page three virtually tells the story for me concerning Waitaha settlement .i therefore invite you to visit my display and restoration studio to inspect and handle the carved Taonga.They tell us so much of our ancient history that has been lost through various situations .There also much more to tell concerning Waitaha in the petroglyps and script that identifies you people as once being in this area,the ancient script is now being deciphered by Beijing Uni .Ancient scripts division .it is imperitive that you contact me in connection with this find ..Badger . Tena koe Badger, this is the Makere to whom you spoke earlier of this matter. The Makere whom you have been speaking to about the waka is my precious sister and cousin.